Copyright and how it applies to Real Estate Photography is the source of much confusion. Every Photographer in business needs to know and be able to address their policy regarding Copyright and their photos with their clients. If not, they are leaving their client and themselves at risk for misunderstandings. Agents and Photographers need to talk AND listen to each other. There is no reason that we both can’t have what we want. An agent hiring a real estate photographer has a reasonable expectation to be able to use the photos for marketing their listing and to be able to use those photos in ways that will benefit themselves. Photographers want agents to know the limitations of using the photos and to realize that the photos have a value to the photographer outside of marketing a real estate listing. The confusion arises out of that fact that copyright is automatically held by a person or entity upon creation. No contract needs to be signed for ownership. The ownership of the photos does not fall to the agent that is paying for the photographer to show up. Yes, this is true whether hiring an independent real estate photographer, or a large company. First, lets define how copyright works. From the moment a photographer snaps a photo, the photographer or the company the photographer works for owns the copyright to the photo. No contract required. Ownership is automatic. When you hire a photographer, you are paying for the photographer’s services and rental of the photos through licensing. The only way photos can be licensed is in writing. Best practice is to include the usage license with delivery of photos. However, to avoid discussing the uncomfortable topic of copyright, often it is written in the company’s terms. Every license (or company terms) should state who can use the photos, for what purpose and the time frame that is allowed for that use. The smaller the use, the lower the price. Be aware, full transfer of copyright is expensive. Even if an agent has a copy of the photograph, they cannot give it to any person or entity to use that is not outlined in the usage license. The photos are simply not theirs to give. Only the copyright holder can grant further licensing. The photos have in essence been rented as outlined by who can use the photos, for what purpose and the time frame in addition to any other stipulations. The licensee cannot assume more usage than they are granted. They also cannot transfer the usage to someone else. The reason is that the photos have value to the photographer (or company) outside of selling a real estate listing. The fee paid by the real estate agent for use of the photos for a limited time frame in a local market does not bear the hefty fees of broad usage. The photos could have value to a stager, builder, future rental, and yes, possibly a future listing agent. Photos are also needed for publications. 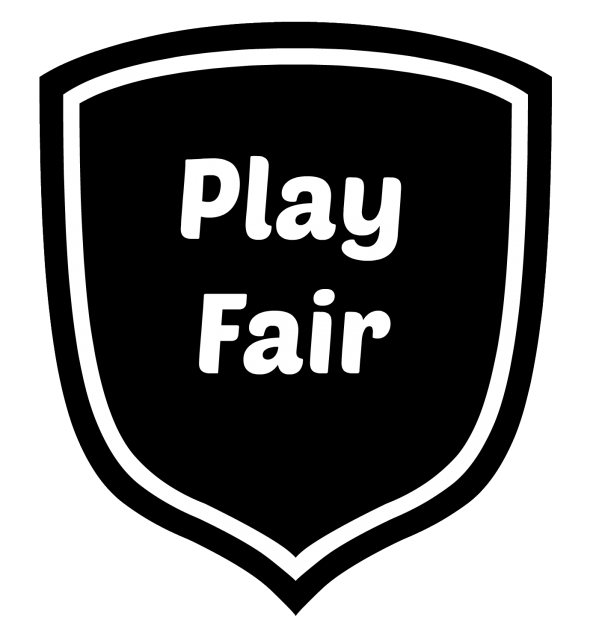 Licenses of these types have more value due to factors like more time of exposure and further use in the marketplace. All of these are drivers of potential future income for the photographer/copyright holder. It doesn’t happen often, but when it does, others that want use of the photos commercially need permission through licensing and need to pay for it, just like the original agent did. Consequences of Infringement When someone uses copyrighted material without permission a variety of things can happen. It can range from nothing to take down orders and/or payment including damages to a Federal Lawsuit with damages up to $150,000 per photo. Also be aware that watermark removal is also a crime. What do others do? Every real estate photographer or company whose terms that I have found retain copyright of their images along with other limitations. 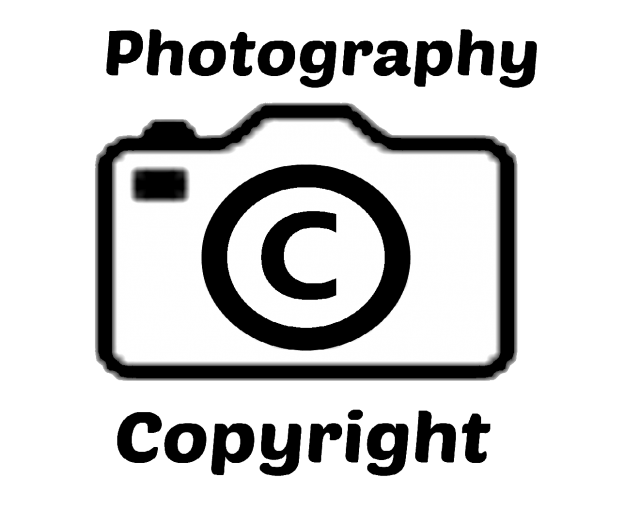 Remember, if the terms or copyright policy can’t be found, the copyright still automatically belongs to the photographer or company hired. 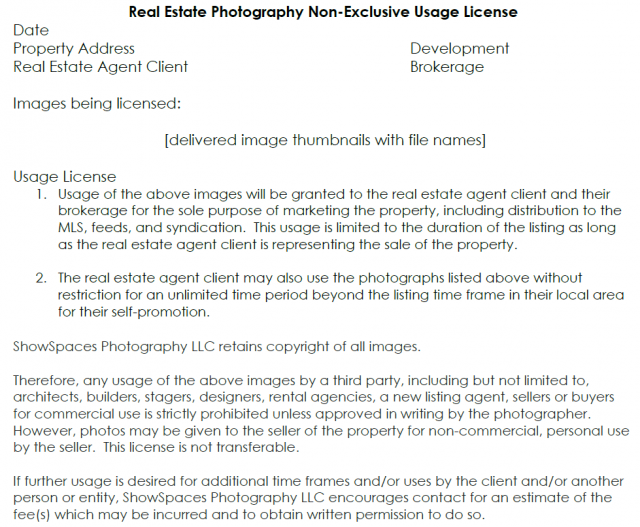 I have summarized the terms of other real estate photography businesses here along with a link to their complete published terms. What do I do? Two things. I realize that my business is about building relationships. You don’t want to feel tricked when you see a photo you were licensed show up somewhere else. First of all, I hope a discussion regarding copyright along with my clearly worded usage license helps clear up any confusion. And yes, I do issue a non-exclusive license that allows me to resell licensing. However, as a matter of ShowSpaces Photography LLC policy, if another person or entity wants to license photos, I will contact the original agent. If the original agent does not want the photos relicensed to a competitor, I will respect that and not relicense. I don’t want to lose a customer over a few dollars. Should the original agent approve the relicensing, the agent and the new licensee will split the cost of the original the photo shoot and editing fee. The original agent will receive this refund in the form of a credit for a future photo shoot. I know of no other real estate photographer that offers this – Asking Permission to relicense to a competitor AND a partial credit of some fees. Normal course of business is to go ahead relicense and the original agent gets nothing but a bad taste in their mouth – especially when a competitor uses the photos again. If there is any kind of issue regarding use of photos I took for you, the first course of action will always be contact via phone and/or email with my agent client. Communication is key to work this stuff out. After all, I don’t exist without my clients! The NAR has an article regarding this here: I agree with the text of the article. The agreements at the bottom do go beyond what a photographer would want to agree to. The points of contention argued here under Joel Rothman’s comments. Triangle MLS addresses copyright here. Please do be careful when reading as listing content is not the same as photographs. New fields have been introduced to TMLS to define if the photos are copyrighted by another entity. While I believe all information provided here is correct, I am not an attorney. Readers are encouraged to contact a lawyer that is well versed in intellectual property rights and/or copyright with any further concerns/questions.